I am pleased to be able to share with you today, a guest post by Graeme Ing, author of Young Adult novel, Ocean of Dust. YA Fantasy: Fourteen-year old Lissa is snatched from her home and finds herself a slave on a trading ship traveling on a waterless ocean of nothing but gray dust. A feisty, curious and intelligent girl, her desire to explore the ship earns her the hatred of the cruel first officer, Farq. When a sinister plot casts her adrift on the barren ocean, her best friend is left in the hands of the treacherous crew. Everything hinges upon her courage, quick wits, and her ability to master her new talent. 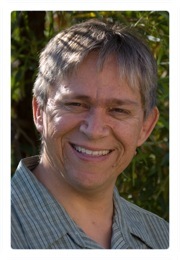 Graeme Ing is a writer of fantasy and SF novels, both adult and YA. 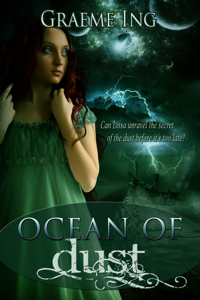 His first novel, Ocean of Dust is a YA fantasy. Graeme is currently working on his second book, a horror fantasy hybrid, starring a cocky, sarcastic necromancer in a world of vicious undead and political machinations. Born in England in 1965, Graeme lives in San Diego, California. His career as a software engineer and development manager spans 25 years, including the development of a dozen computer games for consoles, home computers and online. He is also an avid D&D nerd, armchair mountaineer, astronomer, mapmaker, pilot and general geek. He and his wife, Tamara, share their house with six crazy cats. YA has always existed as a genre, though when I read books as a pre-teen, I'd never heard terms like MG or YA; it was all labeled "juvenile", at least in the UK where I grew up. What a horrible label, don't you think? These days, YA has hit the mainstream, largely due to the monster successes Harry Potter and The Hunger Games. Adults everywhere are proudly proclaiming themselves YA readers, and I say "amen" to that. My reading tastes are eclectic, though I confess a huge bias to sci-fi and fantasy. When work turns stressful, and life seems to yak on me at every opportunity, I take comfort from a great YA story. The trials and tribulations of the YA protagonist pull on my fears and insecurities. I shudder at the memory of my teens, when every hill became a mountain, every cruel comment signaled the end of my life. Despite the age gap, I can empathize with the YA protagonist. Everyone and everything seems against him or her, but somehow through tenacity, quick-wits and a noble soul, they win through and save the day. Good YA is a tale of innocent courage and friendship against adversity, yet the simple wisdom of the young can teach even the eldest of us. It feels good to leave our complicated, adult lives behind. I find most YA books to be a wonderful escape from reality, often a page-turner that keeps me reading late into the night. The plot and pacing are usually simple and easy to read, yet rarely childish or patronizing. These days, I'm thankful not to suffer ponderous backstory, long-winded characters and yawn-inducing talking head scenes that go on for tens of pages. I fear that some adult writers have forgotten how to entertain their readers. And there lies the crux of the matter. I want to entertain. That's the main reason I write YA. I don't want to impress, I don't want to show off my encyclopedic knowledge of literary style. In truth, I don't have one. I have no aspirations of becoming the next Hemmingway or Faulkner. In my head, I relive the wondrous imaginations of my teens, and I want to share those adventures. I believe that none of us has truly let go of our youth, and we yearn to recapture the innocent wonder of those times. The youth of today are our future. Kids are bright and spunky, willing to see the good in everything, untainted by adult perceptions and neuroses. I owe my own intense curiosity, love of adventure, knowledge and science to all the books I read as a child. I want to pay that forward. This is the second reason I write YA. I want to encourage youngsters to read, and imagine, and know that life is what they choose to make it. As adults, we may be mired in the realities of economic depression, world conflicts, spiraling costs, etc., but kids need and deserve a more creative outlet. If I can convince one child that the world, nay universe, is an astonishing place in which they can grow and mold for the good of all, overcoming any challenge; then the time I spend writing a book is worthwhile. If I can assist one adult to escape into a world where friendship, moral fiber and the courage to do the right thing can renew their tired souls, and let them put my book down with a smile; then I am happy. Am I a crazy dreamer? Hell, yes, and proud. That's why I write YA. I can end in no better way than quoting the elegant mission statement of Flux Books: "Where Young Adult is a Point of View, Not a Reading Level." Thank-you to Kellie, Reviewer Liaison from Reawrite for organizing the guest post for Mr. Ing. What a great post! I love how passionate Mr. Ing is about why he writes YA and have to say, a lot of those reasons are why I read it. I love how joyous and uncomplicated it can be. I'm not much for high fantasy anymore but this is much more accessible. His book sounds wonderful too - I'm gathering up ideas for my niece (tweener) left and right today too. Love the guest post and many of the reasons stated are what appeals to me about YA. Thanks for sharing it and his fantasy novel. Thanks for your kind comments, and thank you Sharon for hosting me on such a beautiful looking site. So have you folks been reading YA since you were teenagers, or picked up YA as an adult? If so, what caused you to do that? Would love to know.